On September 11, Johns Hopkins University’s U.S.-Korea Institute reported that satellite photographs from August 31 showed white steam was emerging from a building housing generators and turbines at North Korea’s Yongbyon plutonium reactor. According to the report, “The white coloration and volume are consistent with steam being vented because the electrical generating system is about to come online, indicating that the reactor is in or nearing operation.” While this news seems to have caught some off guard, the resumption of operations at the plutonium reactor was not unexpected. The U.S. and South Korea have not officially confirmed if the reactor has been restarted. As one South Korean government intelligence official noted, “After all, the country we’re trying to figure out is North Korea.” The Pentagon’s Press Secretary announced, "We remain very concerned overall about North Korea's continued pursuit of a nuclear program… We need to keep a close watch on the North Korean nuclear program and continue to call for the denuclearization of the Korean Peninsula." If the North is actually restarting the reactor, this would be a violation of both UN Security Council resolutions and North Korea’s multilateral and bilateral commitments. At first glance, it would seem that restarting the reactor would be contrary to the North’s recent conciliatory gestures – which include a new willingness to resume the Six Party talks (involving China, Japan, Russia, North Korea, South Korea, and the U.S.), an agreement with South Korea to reopen Kaesong Industrial Park on September 16, and October reunions for some of the families torn apart by the Korean War. According to analysts, the steam could be an attempt to gain economic aid by forcing the U.S. and its allies to engage in bilateral or multilateral talks under the assumption that the North was adding fuel to its plutonium stockpiles. As South Korean President Park Geun-hye noted in her May 2013 speech before the U.S. Congress, “The pattern is all too familiar… North Korea provokes a crisis. The international community imposes a certain period of sanctions. Later, it tries to patch things up by offering concessions and rewards. Meanwhile, Pyongyang uses that time to advance its nuclear capabilities. And uncertainty prevails.” The U.S. and South Korea have said they would not return to the Six Party talks or reward the North for taking steps to halt its nuclear programs that it had previously agreed to take. As former Defense Secretary Robert Gates said, the U.S. is “tired of buying the same horse twice.” Russia and China are in favor of resuming talks. North Korea has a number of known and suspected nuclear facilities, with many in Yongbyon county. These include a small nuclear research reactor; a 5 megawatt electrical (MWe) gas-graphite moderated plutonium reactor; an unfinished 50 MWe reactor; an unfinished 200 MWe reactor in nearby Taechon; and a number of waste storage and reprocessing sites, milling, mining, testing, research/development, industrial, and educational facilities around the country. North Korea is also working on an experimental light water reactor (approximately 23-30 MWe) that will likely be ready in 2014-2015, though it was reported this past May that the reactor was in the final “cleanup” stage and startup activities could begin “in the coming weeks.” Recent satellite photo analysis by the U.S.-Korea Institute has also shown that the North may be doubling the size of its uranium enrichment plant as well as expanding its primary rocket launch site. 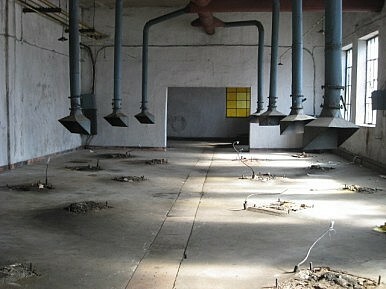 The reactor that has been emitting steam is a 5 MWe facility that is able to produce 6 kilograms of plutonium annually. Construction began in 1956 and the facility was operational by 1986. It was shuttered as part of the 1994 Agreed Framework, but subsequently restarted in 2002. It was shut down in 2007 as part of a 2007 Six Party agreement, and the cooling tower was demolished in 2008. To restart the reactor, the North did not have to re-build the tower; instead, the reactor was connected to a new pump-house that had been built for a different reactor under construction in the same complex. Given the secretive nature of the regime, it is also difficult to estimate the size of North Korea’s nuclear program or stockpiles. Most estimates are in the range of 30-50 kilograms of separated plutonium, enough for perhaps 6-12 nuclear weapons. In mid-2012, one think tank warned that, taking into account uranium enrichment, the country could have 25-48 nuclear weapons by 2015. There are reportedly 3,000 people working on the nuclear program, including about 200 key researchers and scientists. It is also unclear whether North Korea used plutonium or uranium in its February 2013 nuclear weapons test. Analysts have noted that if plutonium was employed, the North would have used up a significant amount of its stockpile and would thus likely need to either produce more plutonium or increase uranium enrichment. In early April, North Korea passed a decree at the 7th session of the 12th Supreme People’s Assembly on “further consolidation of the self-defense nuclear power status” and announced that it would restart the Yongbyon plutonium reactor and continue construction on other reactors as part of a plan to use all of its nuclear facilities to expand its nuclear arsenal. While U.S. analysts believed it would take at least six months for the North to restart its plutonium reactor and it would likely take another three or four years to reprocess and extract fissile material, at which point there would be enough plutonium for between two and five more weapons. Pyongyang could manage all this without foreign materials or equipment. Once operational, the reactor could produce 6 kilograms of plutonium per year. With appropriate irony, the deputy chief of general staff of China's People's Liberation Army, Wang Guanzhong, noted earlier in the week that the U.S. should "take note of active change by North Korea,” in an apparent reference to the North’s recent conciliatory gestures. Still, it seems that what should be noted is that North Korea is indeed sticking to its historical cycle of alternating between provocations and reconciliation in an attempt to safeguard national sovereignty and attract as much economic aid as possible. Despite the North’s recent conciliatory moves, it is not going to give up its nuclear weapons anytime soon – and seems to be producing more. Ashley Hess is a Kelly Korean Studies Fellow at Pacific Forum CSIS.